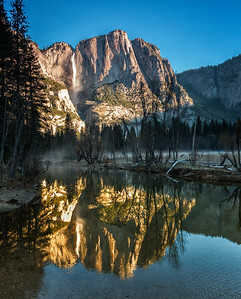 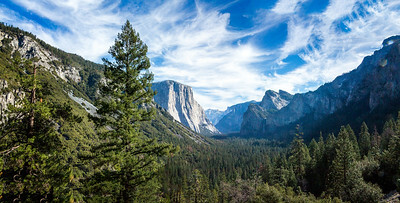 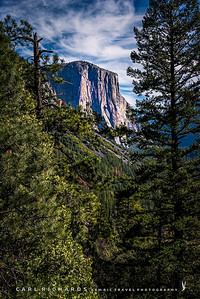 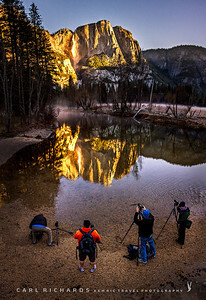 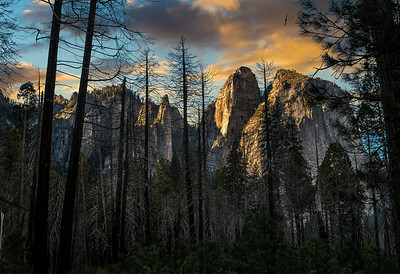 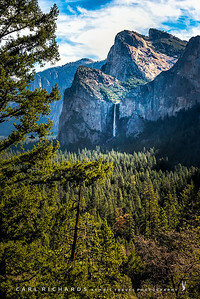 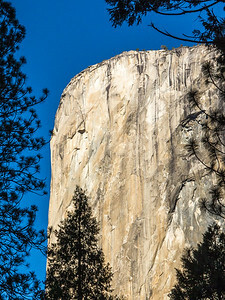 Pictures of Yosemite National Park taken in different seasons. 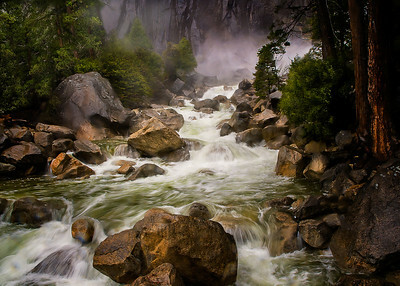 Heavy flows in Yosemite Creek during a rainy March. 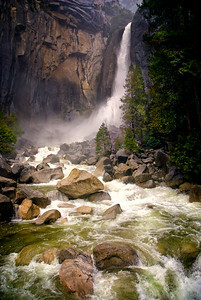 In dry years the flow can be much less. 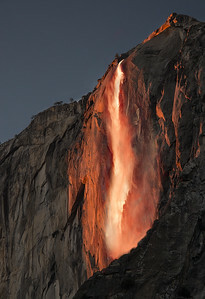 For about one week each year the angle of the sun is in just the right position to light up horse tail falls near sunset. 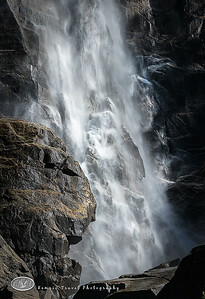 Heavy flow in March. 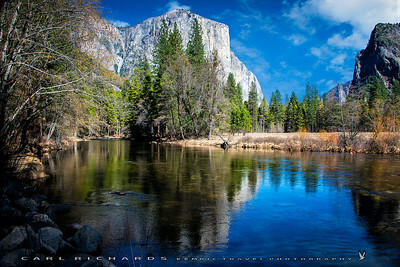 fed by Ostrander Lake 10 miles south of Yosemite. 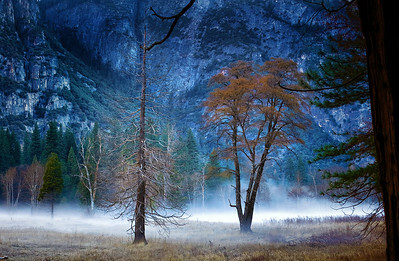 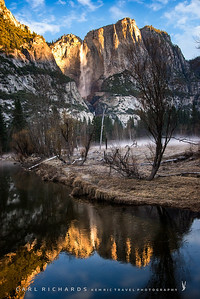 Early Mornings in Yosemite Valley are often foggy in the winter. 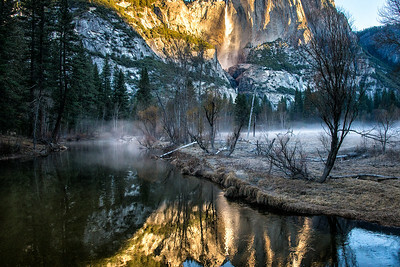 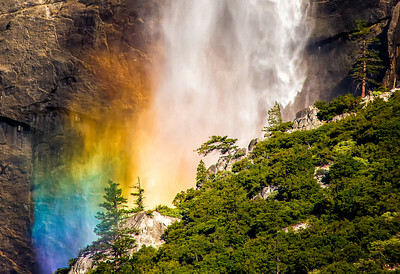 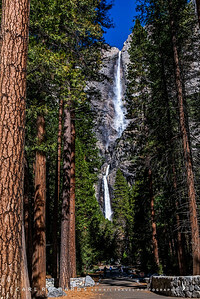 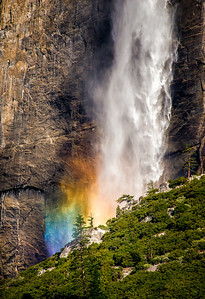 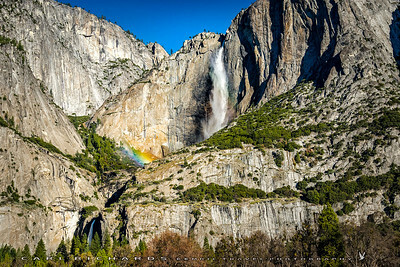 Yosemite Falls in the late Winter-Early Spring. 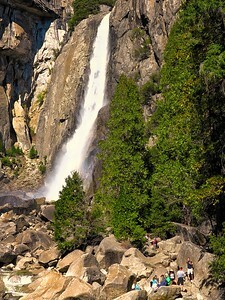 Later in the year the falls may be barely flowing or dried up. 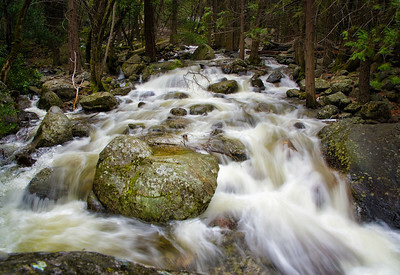 The flow can be heavy during rainy March weather, but during drought the flow is much less and may even dry up. 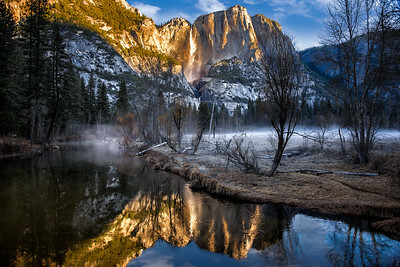 This was taken in the winter with early morning fog present. 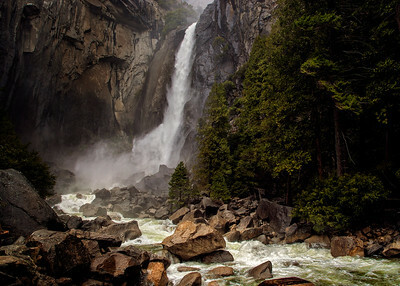 Heavy flows in March from Yosemite Creek.